By the end of the first day, I had lost my voice, we hadn't had any food since 4 in the morning and our backs and legs were aching. 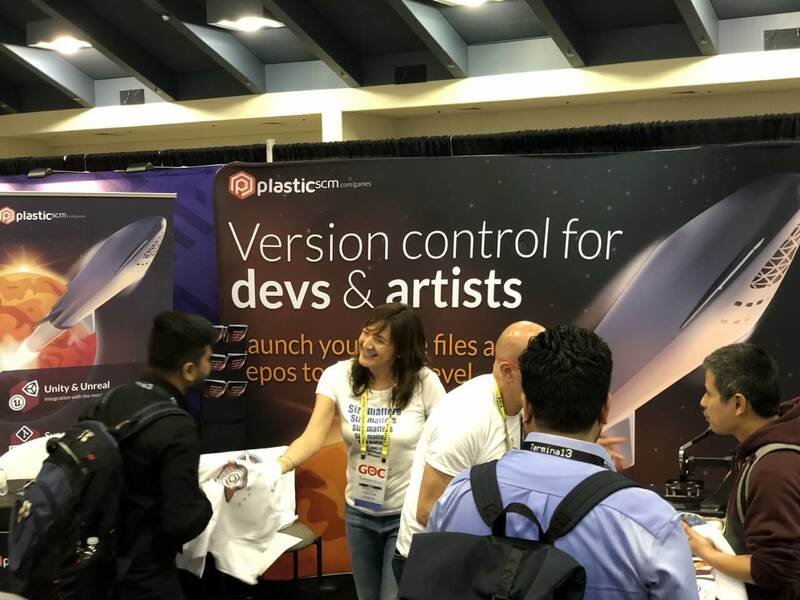 We did not stop talking to people interested in version control for games, large asset exchange and huge repo management among other things. Also, our t-shirt printer was a complete success and our designs were highly appreciated (post your picture and mention us!) by everyone that was lucky enough to get on of the 400 t-shirts we gave away. It seems clear to us that game development and especially game design is growing in complexity year after year. It is our duty as tool developers to provide illustrators, animators, level designers and anyone that work with binary or non-source code assets, with the best tools possible. And so, we strive for that. 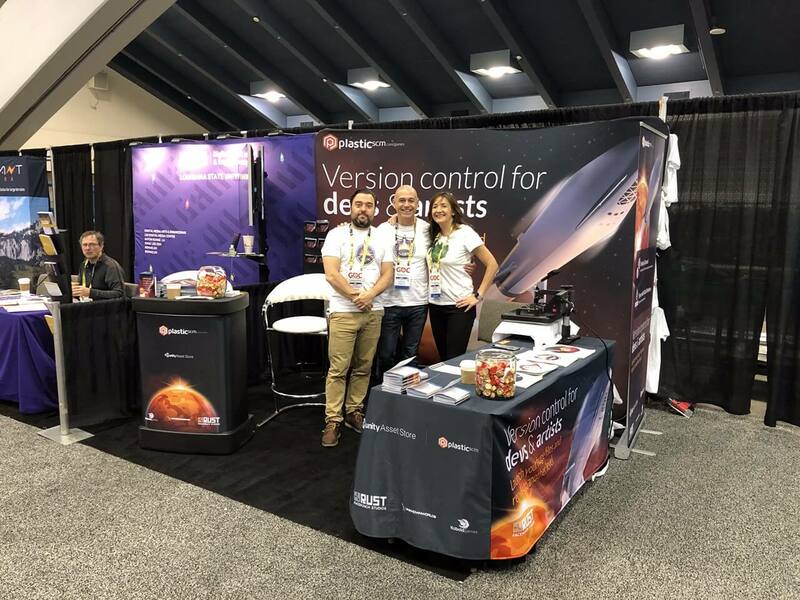 That is precisely why we are grateful to everyone that swung by the booth to talk about your pains, frictions and problems in your current stack and pipelines. 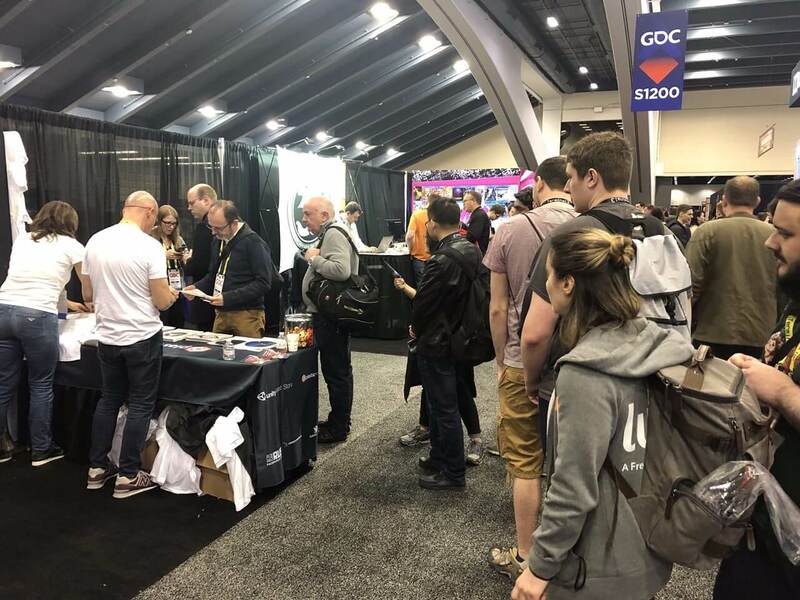 On top of meeting y'all, our main takeaways from GDC 2019 consist of fantastic talks given by the people we love and respect in this industry. Francisco and I, went by the Video Game Museum booth and were taken down memory lane instantly. Props to everyone involved in this project, especially to John Hardie. Joans Boetel on Subnautica's post mortem. Subnautica almost failed like a submarine with a leak. However, after pulling a Crazy Ivan maneuver, surfaced and sold almost 4 million copies. Listen how this epic story from their protagonists. Devin Reimer and Andrew Eiche from Owlchemy Labs. These guys are nuts, simply put. Vacation Simulator is out and its bonkers! But what really is crazy is the challenges they needed to overcome to pull it off. Listen to the CEO and CTO tandem explain it better. Farewell GDC 2019. Oh hi, GDC 2020! We will sure be back next year at GDC. We had a splendid time there meeting friends, clients and partners. By that time, we will be providing the gaming industry with an even stronger, better integrated, easier to use source control tool that allows game dev and design teams up their games each time.